If your credit union member services don't include mobile, you're not relevant. We live in a world on-the-go and if you want to grow your credit union, you need to provide on-the-go options for your members. This means your member-facing technology needs to be simple, functional and mobile-friendly. Now, Want to know the names of the actors you need to be a hit? Mobile Banking. This is the absolute star of the show. Members need to be able to check their balance and transfer money between accounts and to other people, all from the convenience of their smartphone. They should also be able to view all member services such as loan programs, that your CU offers in the case they decide to go car shopping on a whim. Your mobile experience needs to be user-friendly, with clear options, and able to complete transactions in as few screen taps as possible. An effective and easy-to-use mobile banking app shows your members that you value their time. Remote Deposit. You need a strong backup cast to support your star. Remote deposit plays an important role in giving your members the ultimate in convenience. No more running to the branch because you have checks to deposit. Snap a pic with your mobile and you're done. Mobile Bill Pay. 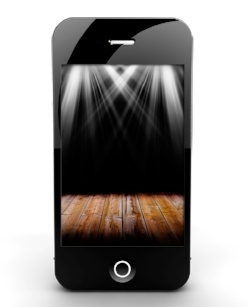 Another supporting role to your mobile app stardom is mobile bill pay. Giving your members the tools to link their utilities and pay bills at any time will make your mobile performance that much more satisfying. e-Signatures and e-Documents. Being able to finalize loan and financial documents without having to go to the post office or the branch is a major draw for members. It also adds enhanced security features over traditional paper document processing. With technology being one of credit union's biggest expenses, it's easy to get lost in the labyrith of functionality and features. However, never put member-facing technologies on the back burner. If a credit union's general ledger technology is the best in the industry but their mobile banking app is clunky and difficult to navigate, the credit union will likely lose members in droves. In the realm of credit union technology, there are levels of importance and priority. Be sure you are allocating resources and placing emphasis on the technologies your members directly interact with.